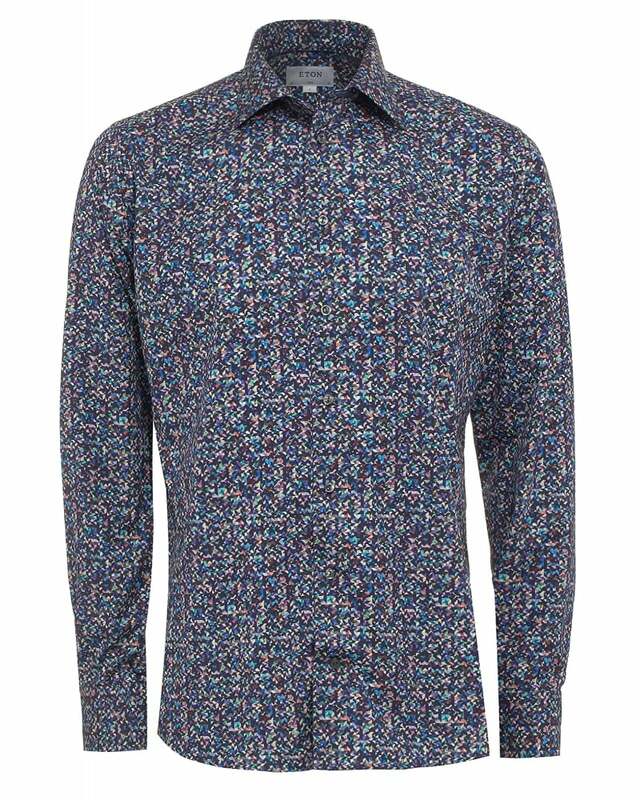 This Eton pixel print shirt is a versatile and unique piece of menswear, ideal for all occasions. Crafted from cotton, this slim fit shirt has grey branded button and adjustable barrel cuffs. Style this slim fit, pixel print Eton shirt with anything from a pair of black For All Mankind jeans for the weekend or add a vibrant print to your office suit.